Electric motors are significant in our everyday lives and almost all business transactions. They move and run almost everything we need for businesses or residential needs. Ac drives run on electricity in order to provide torque and speed control to motors by regulating a given amount of electric energy. 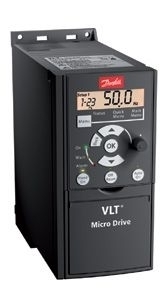 They are also used to slow down shift and control output in many industrial applications. The result is increased inefficiency and control. There’s a lot of wasted energy without a way to control the speed of motors. Bauer GMC’s AC drives ensure high-caliber and efficient solutions that can be customized for any specific application. They are a key investment that will work out to your advantage if power efficiency and torque control are concerns. The AC drive can prevent inefficient energy use and allow a greater measure of control. Bauer GMC’s AC drive, sometimes called variable speed drives or variable frequency drives (VFD) will manage electrical supply into the drive by precisely regulates the power in the motor and the torque it produces. The input power runs through a rectifier that converts the incoming AC power to DC power. The DC power is fed into the capacitors inside the drive. This is to smooth out the electrical waveform and provide the clean power supply to run the AC motor at the speed or torque according to the demand needed. As you continually save energy in your motor usages, you will also save on your expenses and increase productivity. At Bauer, we pride ourselves on being a one stop shop for all mechanical needs for motors and Ac drives. We rely on well established relationships and in-depth experience to provide superior service in upgrades, repair and maintenance. We carry reputable and dependable gear from trusted providers like Danfoss, and can address any industrial and commercial need with expert technicians. Contact Bauer GMC today to learn more about AC drives or to request a consultation.